Emily Kennedy has been a nutrition writer for more than 10 years, starting as a scientist writing abstracts and manuscripts for technical journals. Her transition from academia to consumer writing has resulted in a portfolio of magazine, newspaper, book and website publications. Kennedy holds a Bachelor of Science in foods and nutrition, a Master of Science in kinesiology and a diploma in natural nutrition. Babies typically get first teeth between the ages of 4 and 7 months, according to the American Academy of Pediatrics. Although this time frame constitutes the average, your baby may have a slightly slower teething schedule, putting her a little behind the norm. Even with no teeth, an infant who is showing interest in solid foods can have a diverse and exciting diet. Vegetables and fruits are ideal nutrient-rich first foods that children enjoy for their vibrant colors and natural flavors. Introduce vegetables before fruits as they are less allergenic and less sweet. For an infant with no teeth, obviously, you'd want to avoid hard vegetables or fruits such as carrots, celery, or apples that has not been steamed and/or pureed. Instead, offer baked sweet potatoes, squash or yams. These have high beta-carotene content and a mild sweet flavor. If buying fruit baby food, be wary of added preservatives and fillers that decrease the nutritive value of the food. Instead, get into the habit of making fruit and vegetable purees that can be frozen in ice cube trays. 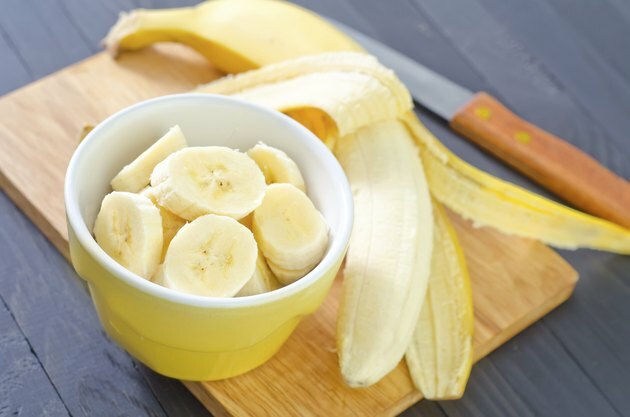 Naturally soft fruits such as avocado and banana are also easy choices as they can be scraped directly from the ripe fruit into your baby's mouth, or mashed and placed in a bowl in front of her. Avocado contains healthy monounsaturated fats that provide the extra calories a growing baby needs. Avocado and banana are both good sources of B vitamins too. At eight months, your baby is ready to digest small amounts of grain foods. Commercial baby cereals such as Pablum are usually fortified with iron, an essential mineral needed to support baby's rapid growth. Aim to start your child on these cereals and follow the age recommendation on the packaging. If your child is still breastfeeding, try to express breast milk into the cereal to make it the right consistency -- and added nutrients. As your child begins to add more iron-rich foods to his diet, start incorporating other grains into his meals. 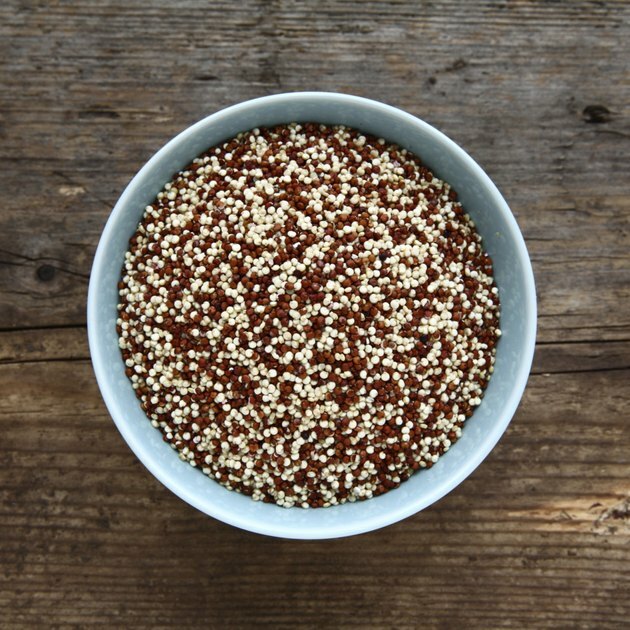 Quinoa, an ancient grain, is high in iron and protein. Rice congee, oat bran or Cream of Wheat are also good choices for iron and appropriate consistency. Protein foods are typically appropriate to add to a child's diet at around nine months old. Consult your pediatrician if you are unsure of your child's readiness to digest these foods. To address lack of dentition, tofu or egg yolk is the natural choice for a soft meat alternative. 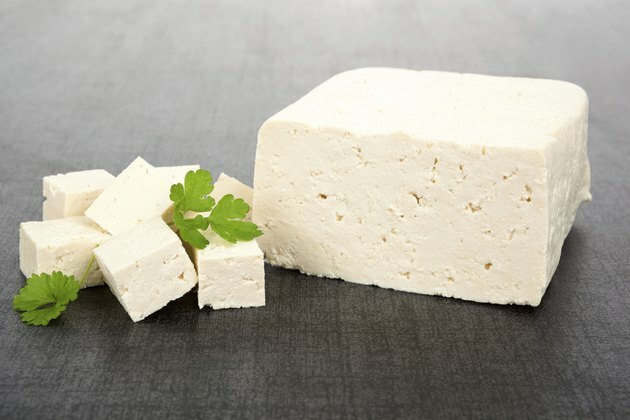 Tofu is an excellent source of calcium, magnesium and protein for your baby. Withhold egg whites until one year to lessen the risk of allergic reaction. You can hard-boil eggs and mash up only the yolk for your infant to try. 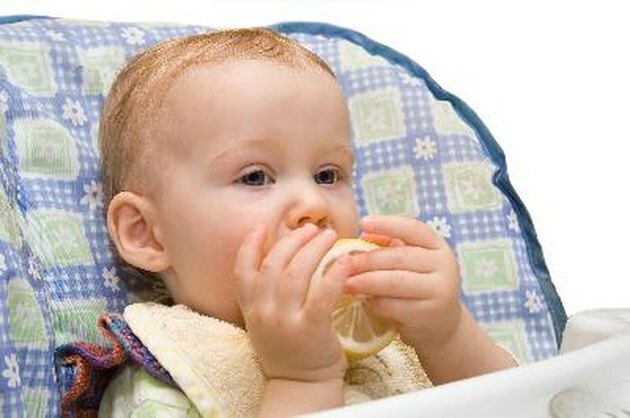 At eight months old, infants may or may not be showing signs of self-weaning. If they are breastfeeding regularly, mother's milk will provide sufficient nutrients and other milk is not required. 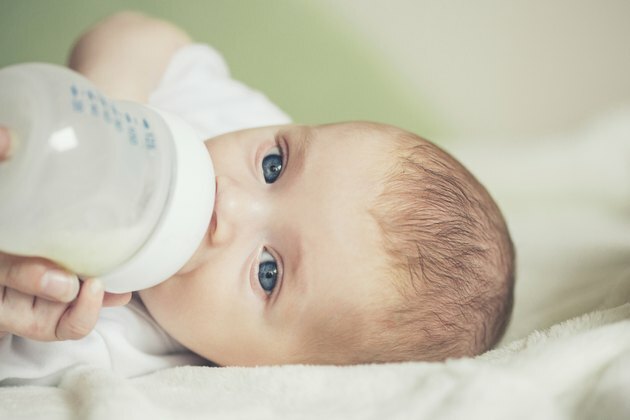 Before 2 years of age, introduce cow's milk that contains 2% milk fat, not whole milk, as per the American Pediatric Academy's revised recommendations.